These videos include frank exchanges with local people on the street, meetings with community leaders and extended point-of-view sequences shot from a moving vehicle, featuring the Bayview Hunters Point and Fillmore/Western Addition neighborhoods. “Take This Hammer,” directed by Richard Moore, was originally produced by KQED for National Educational Television (NET), the predecessor of WNET, and first aired in 1964. The copyright is held by WNET.ORG Properties LLC. All rights reserved. WNET.org is the premier public media provider of the New York metropolitan area and parent of public television stations WNET and WLIW. Thanks for sharing this film! 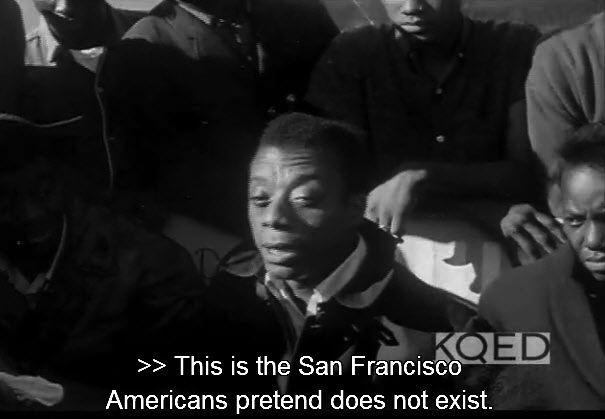 I thought Baldwin's closing remarks were so interesting that I transcribed them here: http://kungpowvoodo.blogspot.com/2011/02/take-thi…. In the olden days some people interest in movies and the hit movie is "Take This Hammer" in 1963 and people are interest take this movie. No one can choose for you whether you will undertake any form of education or not. It is a choice that you solely make. Fortunately, the law bounds that choice and requires everyone to have some basics to education for purposes of survival. Tours is the best way to know the visiting places with interesting places,really very inspirational points I ever seen here. Mostly this blog has been updating and giving us better tips always about touring and travelling. I turned into running and all of sudden I visits your site often and advocated it to me to study also. The writing fashion is superior and the content material is relevant. Thanks for the insight you provide the readers! It would possibly look like plenty till you’re within the role that I am. I’d been bewildered and your article reduce through the common concept that most effective gift the lack of content material. You need to hold your writing. This is a excellent ennobling article.I'm quite a good buy happy together collectively along with your practical artwork.You located quite useful information. Hold it up. I really appreciate your technique for writing a blog. Nice info admin. I'd like to know more about the topic. Just found something amazing information….